Final shot from this series. 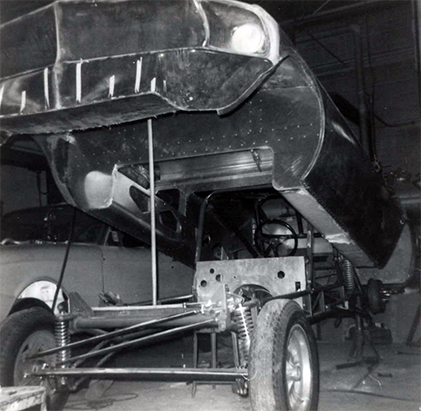 Based on info from Daryl Huffman (Who happens to own the fiberglass body) I corrected the first post to indicate that the body was built by Paul Shedlik and the tin was done by Tom Smith (later of Wolverine Chassis). The tinwork under it is still in great condition.